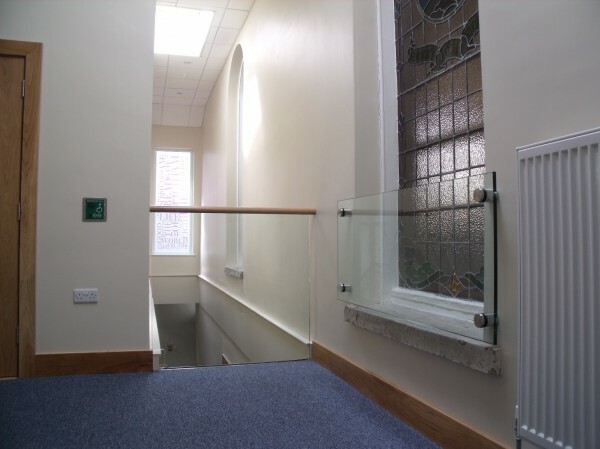 The project involved the retention and protection of an existing Church and the creation of a bright, welcoming, extension with glass walkway, incorporating 790 sqm of floor area over two floors to the rear and side. 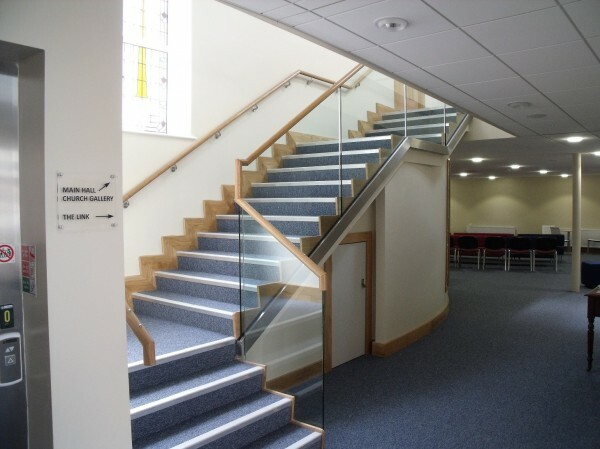 Features include a new foyer/informal space, Minister’s room, plant room, session/choir room, male, female, infant & disabled toilets, servery, crèche, lobby and cleaner’s store on the ground floor. 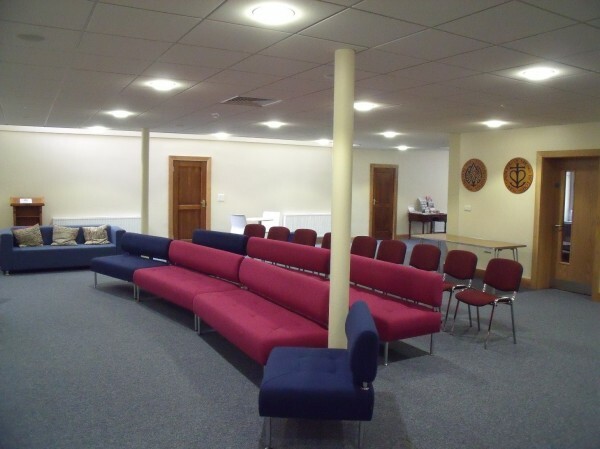 A new main hall, minor hall, kitchen, choir store, male, female & disabled toilets, office, lobby, kitchenette and store were created on the first floor. The original Church features were carefully retained including for example the original window sills. 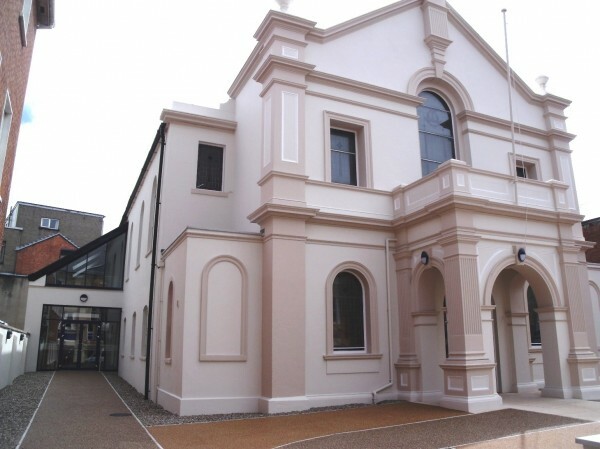 The structure of what was an old extension to the rear was retained to create modern social and administration facilities. 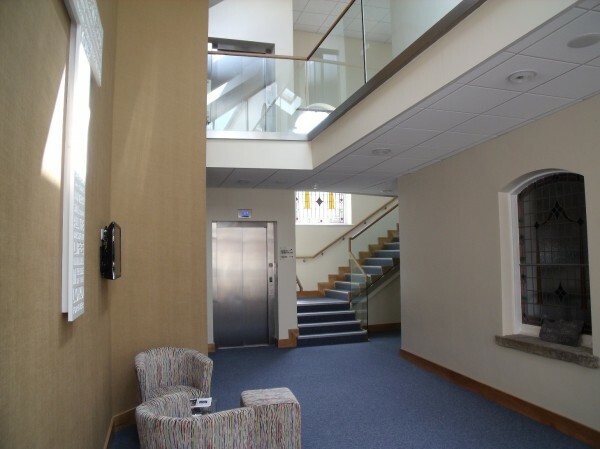 The building is in a busy urban area so all personnel were trained on ways to reduce nuisance; for example dust, noise and vibration were stringently controlled and the neighbouring occupiers were regularly consulted with to keep them updated on progress. 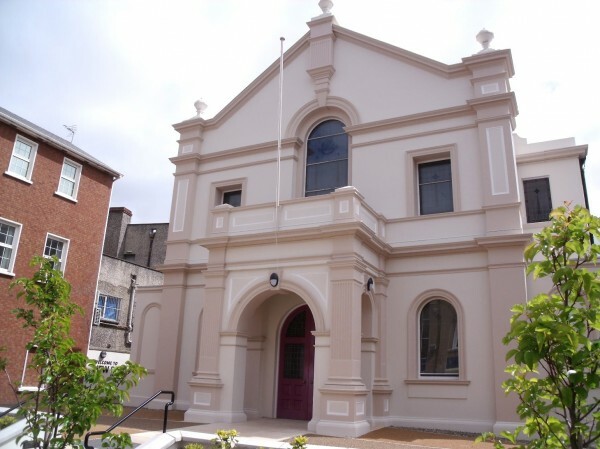 A bit more information about the the New Row Presbyterian Church project.